The world of business is challenging, fast-paced and constantly evolving. From finance to food, engineering to entertainment, every industry needs people with business skills. Whether you're interested in working for a large corporation, managing a business or becoming an entrepreneur, you need to know how to thrive in a competitive business landscape. In this course you will develop broad business knowledge and acquire expertise in your chosen area of business practice. With 10 majors to choose from and 10 double-degree options on offer, you will have genuine diversity and depth of choice in your business studies at Monash. Comprehensive and flexible, the Bachelor of Business offers you a range of options to help you develop the skills you'll need to have a successful business career. We're all about choice, offering you more majors to provide genuine diversity across all areas of business. Whether you're creative, people-focused or have a passion for numbers, in business there is something for everyone. 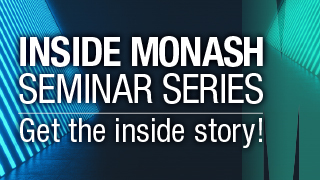 A degree from an internationally recognised business school such as Monash will make you employable across the globe. It gives a broad range of career options in fields such as accounting, economics, marketing, management, sports, consulting, information technology, government, health care, international business and taxation. You can use your professional skills to work in general management and operations, or become a leader in your chosen field. 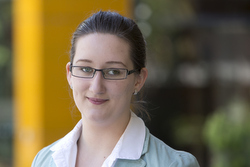 High achieving students will be eligible for selection to the Monash Business School Scholars Program. 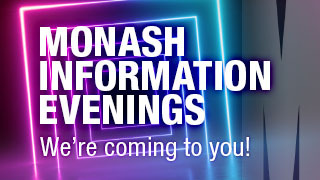 If you don't have the entrance requirements above, you'll be able to gain entry to this course by completing the pathway Monash College Diploma of Business, Monash College Diploma of Commerce or Diploma of Tertiary Studies (DOTS). Our Comprehensive courses allow you to select from a wide range of subjects within a broad field of study. You can choose a Monash Comprehensive course in five broad fields: arts, business, commerce, information technology or science, and then customise your course to make it uniquely yours. In this course, you will study a range of subjects from across the business field, broadening your knowledge in this area while also deepening your knowledge in at least one subject that will become your major.